A Blogger does not aware of everything. They know about the mistake when they write the number of posts and published on his blog. They fix the mistake when using the tools to know the exact status and fault of the blog. For example - If you know what is SEO? and what is important in the blog, then definitely focus to resolve the SEO related issues. But blogger knows about this when they will spend the large time to post the content on the blog. This is the example, which explained to you. I would like to share my experience in brief. I started my site Todayfirstevent with.Com domain name. I was not aware of the basic tools, which are important to increase traffic and make the site search engine friendly. Just upload the template and started to write the post. I was written more than 80 posts on my blog, but traffic was not up to the mark. Another issue I faced that my site loading time was extremely very high and take 28 seconds. Actually, the site should be open in 3 seconds, if this reduces from 3 seconds then that is good for you to improve the traffic. After adopting the lengthy process, I resolved this issue and now 28 seconds has been reduced to 2 seconds. After that, I worked on SEO and improve the percentage to make the site google search engine friendly. Every day, you will face the issue, but the problem will motivate to learn something new. 1. Increasing Loading Time - Blogger does not take care in the initial stage. First, you have to reduce the loading time of your site. Start to work on it. As discussed above the minimum loading time of site should be 3 seconds. 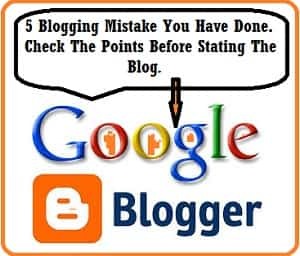 If you will take care of these points when can start the blog. No issue will impact on your writing speed. 2. Using Dark Background - Don’t use the dark background for the site. That will irritate readers to read the content smoothly. Font size should be in standard size. Small font gives additional pressure on the eye. That will end the enjoyment of content reading. Actually, the site background should be decided on the color of content and assist the reader for smooth reading. The best way is to opt for a white background. This is the best option. Font of your blog should be in standard size. 13 to 14 are the minimum font size is suitable for site content. 3. Excess Use Of Ads - You should not use access Ads on site. The basic concept to place the ads in that area, which does not disturb the reader. 2 to 3 ads is maximum for the site. Readers will leave your site if they will face the problem to learn the content. Try to use A synchronizing code to display the ads and fix to upload after download the folder part of the site. 4. Large Pixel Image & Auto Loading Music, Videos - You should optimize the and reduce the pixel size of the image, then upload with blog content. If you did not care about in the starting phase, this will create a big problem after some time. Big image and high pixel increase your page loading time and will impact traffic off-site. Avoid uploading auto-loading music and videos with your blog post. They will play a big role to reduce site speed. 5. More Than 6 Post Reflect On Main Page - If your site display more than 6 posts on the main page, that is the main issue to increase the loading time of pages. Five to Six post is enough for site main page. Every category or label like Movie, Blogging, Tips, News should be open with 6 post maximum. This is big tips to reduce the loading time of the site. If you want to learn about above-given tools visit on Site-map for more beneficial stuff.